In the wake of the Newtown tragedy, StageofLife.com polled teens from across the United States regarding their views on the 2nd Amendment, current gun laws, school security, mental health services, the media, and other important aspects of the gun debate. 70.6% of teens do not think teachers should be allowed to carry concealed weapons in school. In an effort to better understand how teenagers feel about guns, StageofLife.com, an educational resource and blogging community for teens and college students, asked over 7,000 students and teen bloggers the question, “Where do we go after the Newtown school shooting?” for its most recent national writing prompt. 600 students fully completed the gun survey and over 350 submitted a personal essay on the gun debate issue. --56% of students feel 1st-shooter video games cause young people to become desensitized to violence. --However, 58% of teens do not feel violent music lyrics are a problem in our society. 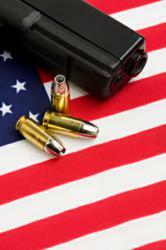 --70.6% of teens do not think teachers should be allowed carry concealed weapons in school. --39% of students feel that mental health ranks as the "priority issue" in the wake of the Newtown tragedy when given the choices between mental health, gun control, school security, family issues, or addressing violence in games/music/media. --71.3% of students saw their school take a moment of silence after the Newtown tragedy (but nearly 30% of students reported their schools did not). --50% of students feel "completely safe" at school. Another 46% report "usually feeling safe, but sometimes I don't." 4% of students report feeling safe "rarely" or "never" at school. --10.1% of teens feel gun laws should be eased so that it's easier for law abiding citizens to own and carry guns both at home and in public. --13.4% of teens feel we should keep current gun laws "as is." --56.4% of teens feel we should keep the 2nd Amendment to the US Constitution in tact, but add new federal gun control laws to restrict the access to high-capacity ammunition clips or certain semi/automatic assault weapons, closing gun show loopholes, etc. --18% of teens feel guns should be allowed only by the military and police - regular citizens should not have access to them. --2.1% of teens feel guns in all forms should be completely banned in our society. Over 350 personal essays were submitted to StageofLife.com from teenagers sharing their feelings on the gun debate. The five central themes emerging from the student essays involved gun control, pro-gun rights, school security, policy change discussions on the 2nd Amendment, and the media's influence of gun violence. One winner, 14 Runner's Up, and 21 Semi-Finalists were selected after the Stage of Life Editorial Team read through the hundreds of essays. The 1st place essay, A Different Look at Violence in the Media, made a point that young people are used to violence in their society, so reactions to it is often conditioned. 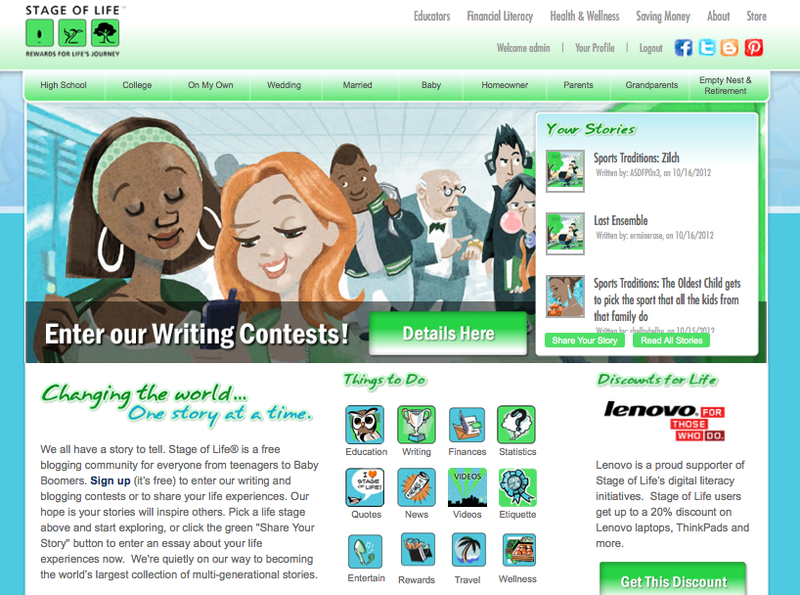 StageofLife.com was founded in 2009 with a literacy mission to encourage life-long readers and writers through its blogging community designed for all generations, from teens to Baby Boomers. With over a quarter of a million teen and teacher visitors each year, 5+ million uploaded words, and thousands of submitted essays, it is becoming the world's largest collection of multi-generational stories. The site features free educational resources ranging from writing contests, free blog resources, Language Arts lesson plans about blogging, goal setting worksheets, writing prompts, and more. You can reach StageofLife.com by contacting Founder and CEO, Eric Thiegs, via email at contact(at)stageoflife(dot)com.